Discussion in 'Guitars in General' started by p.mo, Dec 8, 2016. I've always been curious about what people look for in wood figuring. It's always been shocking to me to see how much more flamed wood costs. 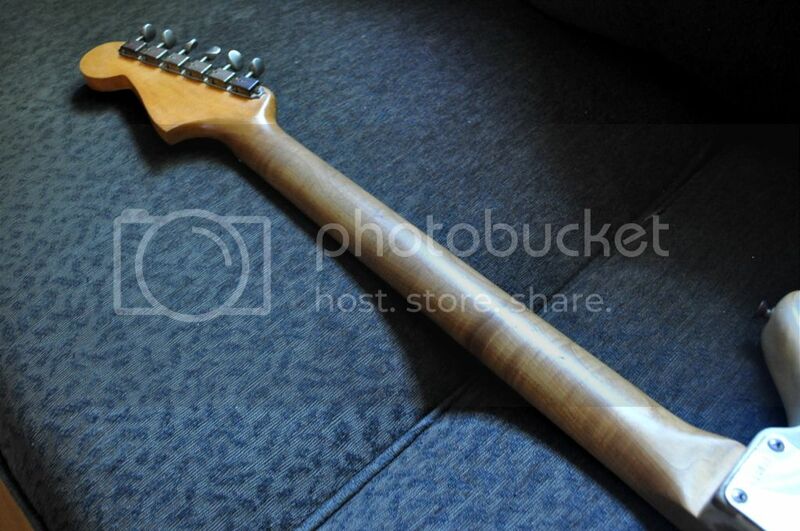 So, if you're looking for a guitar where the wood grain is visible, would you want your wood flamed or plain? shane8, Frankee and p.mo like this. Couldn't care less about the neck. I like a nice grainy plain top, if that makes sense. Ash would be a good example. i think highly flamed/figured tops look good in pictures, but horrible in action on stage. I see it the same as the custom chopper/motorcycle craze that blew through not too long ago. I thought they looked cool as hell standing there but as soon as someone took it for a ride it looked rediculous. I prefer plain body. necks can go either way. I'm not a fan of flame tops. I prefer plain, although if I'm going to have a figured piece of wood, I do like spalted maple for the top of a body. I don't care either way for the neck, don't really see the point in figured necks. Then again, I prefer rosewood boards and painted headstocks (unless it's roasted maple, I do like the look of unfinished roasted maple). I do like rosewood boards that have some streaking/visible grain though, just because to me, that looks more natural than something that is exactly the same all the way through. Plain or mild wide flame. Never cared for uber flame, BBQ or quilt. i like flame on a les paul top other than that, flame on the neck and solid color painted body. Generally plaintop. I do have a PRS now with some great flame, but it's the exception - my plain maple, mahogany, and ash topped guitars look great and more "real", like they're more guitar than showpiece. Mahogany with a contrasting grain fill, like in the style of Gibson's TV finishes or Collings's Reverse Doghair, is a current favorite. Edit: and no quilt tops. There have been two or three that I've ever liked in my life and that's it. Although I can appreciate a nice flame or quilt, it's just not my thing at all. ...some of the AAAAA stuff out now looks almost photo shopped. Sadly, a lot of them ARE. Rarely do you see a guitar in real life that has the chatoyancy (tiger's eye effect of flame/quilt maple) that they look like they have in photos. In photos, they look like they'd be super dimensional and just change dramatically with every degree you turn it in real life. Now, SOME are like this, but a majoriy, even the high-end PRS, Gibson, Kiesel, Music Man, etc are just "meh" in real life. There was a thread on SSO where someone got some 7-string Kiesel (think it was an Aries) and Kiesel's social media team made it look bright, brilliant, gorgeous, high contrast, etc but the pic the dude posted of it (ie what it looked like in real life) was night and day - and it wasn't just because it wasn't a super nice DSLR camera (I think we've all somewhat learned to adjust our eyes and expectation to photos to get an idea of how close to "real" the thing looks). I commented that I'd be pissed if I ordered the guitar in the first pic (Kiesel's photo) and received the guitar in the second pic (buyer's photo). I guess it seems now like it was kind of a d*** thing to say, but in context it wasn't; and I'm sure I was more diplomatic. Anyway, the point is, I don't really care about flame/quilt anymore. If it's there, cool. But it's always a LOT nicer when it just kinda shows up than when you specifically order a flame neck and set your expectations high and then are let down. I like it when I am not expecting it and I happen to turn the guitar a certain way and it blows me away. But never again will I pay extra for a fancy wood top. Usually I like solid colors. In fact, plain old black. But if the thing is see-through, gimme some fun. For body, it depends on the guitar. I like both plain and flame on a Les Paul, flame on a PRS, and plain or custom color on others. I like them all. Mild, over the top, "realistic", or completely plain. I don't like quilt so much. I like quilted the best on some guitars but I don't like it at all on a Les Paul. Flamed maple looks the best on a Les Paul. That is why they are the most valuable of that model. On a Fender Strat, I like either quilt or flame tops and the bird's eye maple on the neck (custom shop guitars). I have a translucent teal green Strat with ash body and the wood grain shows nicely. 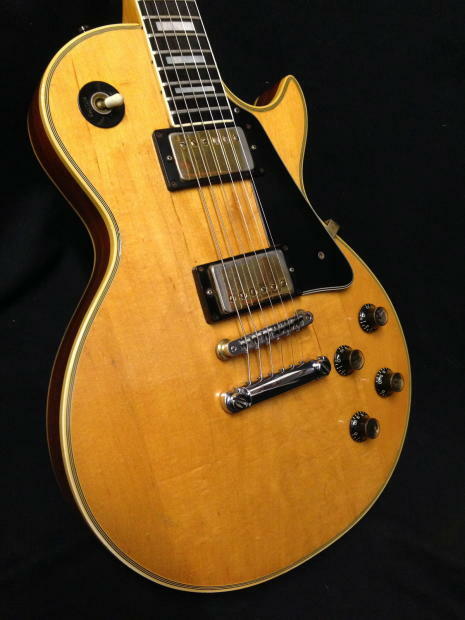 I do like the gold top Les Pauls and Stratocasters, although I don't own any. I prefer latina women or caramel mixed black. I figured that question is coming later in this thread so I chose to answer it now, in order to keep my post count down. congratulations for using the correct term "figure" rather than "grain" to describe the --I don't know any other way to say this--figure of a piece of wood. I like both, but there are some flames that are over the top that I wouldn't go for. The one I'd never touch is quilted.